One of the joys I discovered this year was marbling on canvas. 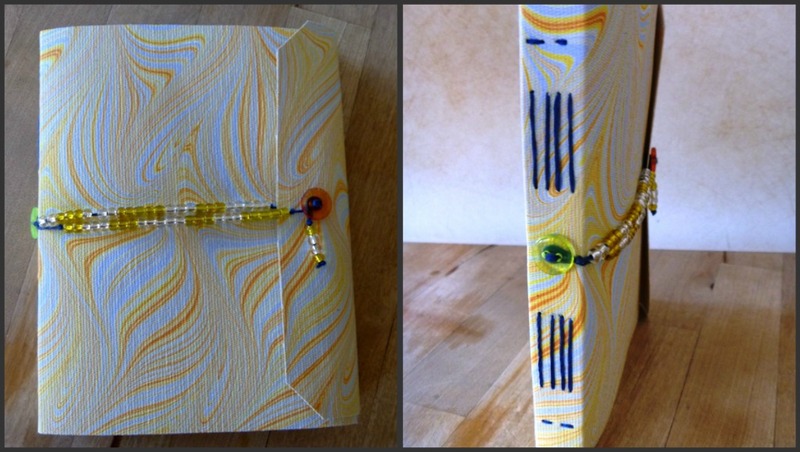 One of the joys of that joy is using marbled canvas as the covers for my hand-bound journals. I mentioned in my previous post that my journals sold out at the Holiday Show. That wasn't totally accurate. What sold out were my canvas journals. On the first day. Two journals, with paper covers, returned home with me. My point is: the canvas-covered journals were a HUGE hit. All of my journals are unique. No two are alike. At all. Ever. I'm not against mass production. It's just that it's not for me. I'd get bored. Unfortunately, because each journal is its own thing, it takes me a full day to make just two of them. I suppose I could rush the process more and get maybe three or four done in a day. But why do that? Why not enjoy the process? After all, as Neil Peart (drummer for the band, Rush) points out, "the point of the journey is not to arrive." My journals are generally about 4"-5" by 5"-6" in size (smallish...perfect for traveling with); have anywhere from 80 to 100 pages; are filled with high-quality text, multi-media, or sketch paper; and have marbled covers as well as marbled signature wraps (the paper that goes around the paper in the journal). Prices range from $20 - $30. If you are interested in ordering a journal (or multiple journals) as holiday gifts, please let me know by emailing me at Cheers [at] BarbSkoog [dot] com. You don't have to commit to buying one right now. I just need to know if there is an interest out there and if so, I'll hit the studio and marble up some more canvas and turn them into lovely journals. I'll then post photos of them on this site and THAT'S when you can actually order them.